It has been contemplated whether Breast cancer surgery can be carried out as the day-care procedure to increase patient turnover, decrease disease progression and financial burden. Dr.Rekha Das et al. 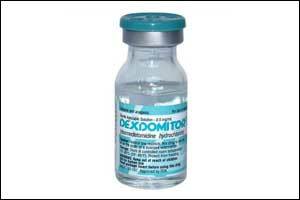 carried out a study was to assess the role of dexmedetomidine in breast cancer surgery as a day-care procedure.The researchers found that Dexmedetomidine may be a good anaesthetic adjuvant that makes breast cancer surgery feasible on day-care basis.The study has been published in the Indian Journal of Anaesthesia. A prospective randomised, double-blind study was carried out on 100 patients screened for day-care breast cancer surgery. They were divided into two groups of 50 each; who received either normal saline (Group NS) or 0.6 μg/kg/h dexmedetomidine (Group D) infusion from 10 min before induction until skin closure. All patients were given general anaesthesia. The incidence of discharge, post-operative pain (POP), average rescue analgesia (fentanyl) required and side effects were noted. Statistical analysis was performed using Student’s t-test and Chi-square test. The authors found that Incidence of discharge in group NS was 60% compared to 88% in Group D (P = 0.001). Average rescue analgesia requirement by group NS was 136.07 ± 43.06 μg, whereas it was 77.5 ± 29.86 μg in Group D (P = 0.01). The incidence of POP in 6 h and within 2 h of expected discharge time in Group NS was 56% and 28%, respectively, and in Group D, it was 8% in both the periods (P < 0.001 and 0.01). Side effects such as post-operative nausea, vomiting and bleeding were encountered in eight and two patients, respectively, in Group NS and two and one patients, respectively, in Group D.
The authors concluded that Dexmedetomidine as an anaesthetic adjuvant makes breast cancer surgery feasible on day-care basis. There is neither mention of the type of surgery( excission biopsy/ lumpectomy/MRM) nor duration of surgery. Also discharge criteria. Details of IJA in which it is published should be given.